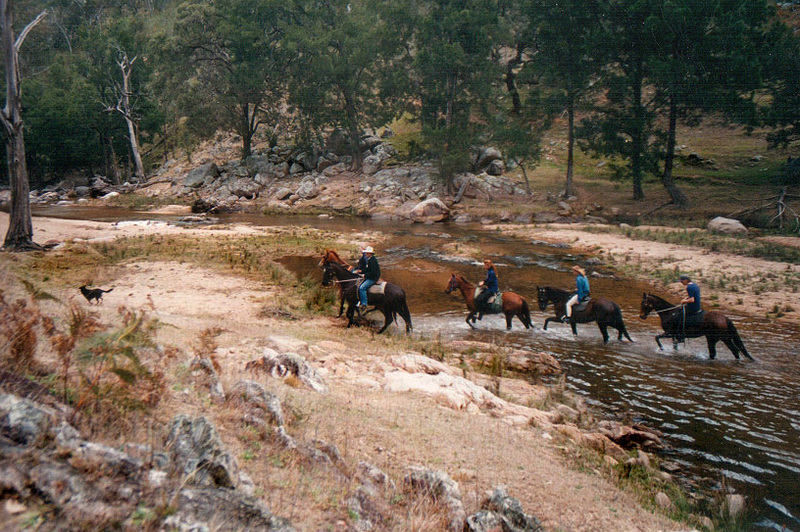 A great ride across the paddocks and through wilderness then over to one of the most beautiful rivers in Australia. Lunch is provided to compliment a perfect adventure experience. The Megalong Australian Heritage Centre is regarded as "the Outback Ranch in the Mountains" -it is set just below the rugged majestic sandstone cliffs and views over the winding Cox's River, yet it is serene and tranquil with its vast stretches of beautiful pastureland and pristine wilderness areas. We like our guests to experience what makes our ranch in the Blue Mountains famous worldwide. The first horse ride leaves soon after breakfast, so guests mount up on horses chosen to suit their riding skills and head off for the hills. The rides ambles across the scenic property, over to the Cox's Canyon. There you enjoy a lookout of superb views into the beautiful Blue Mountains National Park. We offer either a half-day or full day ride to the Cox's River or seasonally you can join in with the fun of the Cox's River Cattle Muster. Over 5km of the rugged Cox's River meanders through chasms and canyons and widens out on the bends into warm sandy banks with deep swimming holes - great for a summer cooling off. Our rides are truly one of the most breathtaking in scenery to be ridden in Australia - and lets you unwind and take in the isolation and remoteness unparalleled being so close to Sydney, it's hard to believe that it is only 90 minutes away. As this voucher is valid for 6 months please make your booking early to avoid disappointment due to expiry date. � Extensions available after expiry incur 20% surcharge. � Transfers within 30 days incur $25 rebooking fee. � Transfers or cancellations on the day can be made but a $25 pp fee is charged. Cancellation Policy. We want to provide you with a really memorable experience, but if you have to change your booking, while we will endeavor to accommodate the change wherever possible, such changes may be liable to incur a surcharge if no replacement booking is received.